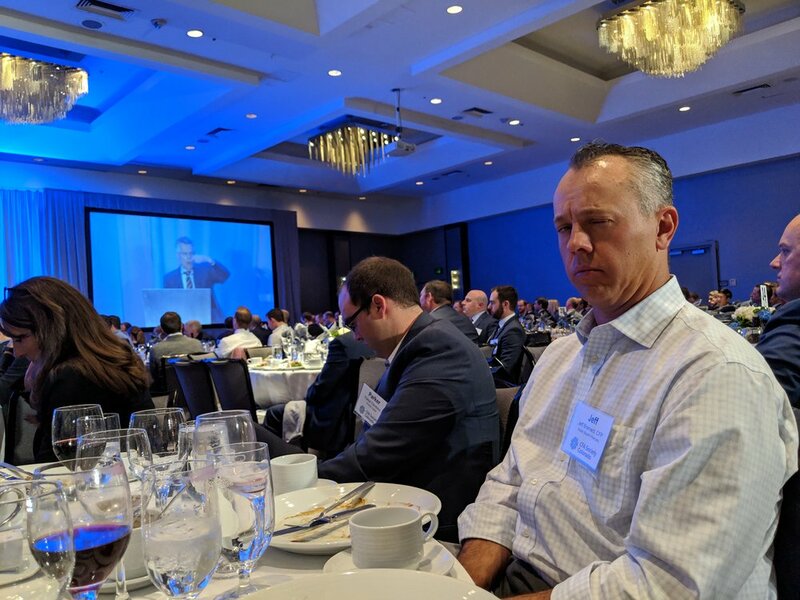 April 2019: Jeff and Grant attended the CFA Society of Colorado’s 2019 Forecast Dinner where Myron Scholes, PH.D presented new research on how to look at portfolio returns and managing wealth. Dr. Scholes is widely known for his seminal work in options pricing, capital market equilibrium, tax policies and the financial services industry. He is a Nobel Laureate in Economic Sciences and co-originator of the Black-Scholes options pricing model, for which he was awarded the Nobel Prize in 1997. February 2019: Jeff and Grant attended a Trust and Estate Planning presentation to stay apprised on legal matters surrounding trusts, and updates to Colorado’s Uniform Trust Code from Senate Bill 18-180. January 2019: Jeff and Grant attended a presentation on the state of the fixed income markets by Gibson Smith of Smith Capital Advisors. January 2019: Grant went to the Federal Reserve Branch in Denver to attend a presentation by Alison Felix, VP and Denver Branch Executive of the Federal Reserve Bank of Kansas City, and Randy Thelan, VP of Economic Development at Downtown Denver Partnership. Alison provided an update on the Fed and the health of the national economy. Randy shared insights about downtown Denver and the Front Range including growth & trends and upcoming development projects. October 2018: Our firm is set up with TD Ameritrade as the custodian. TD Ameritrade provides our firm with technologies in key areas of our business. Specifically, client management, customer service, trade execution, and portfolio management. They also provide our clients with a third-party custodian to hold the assets. 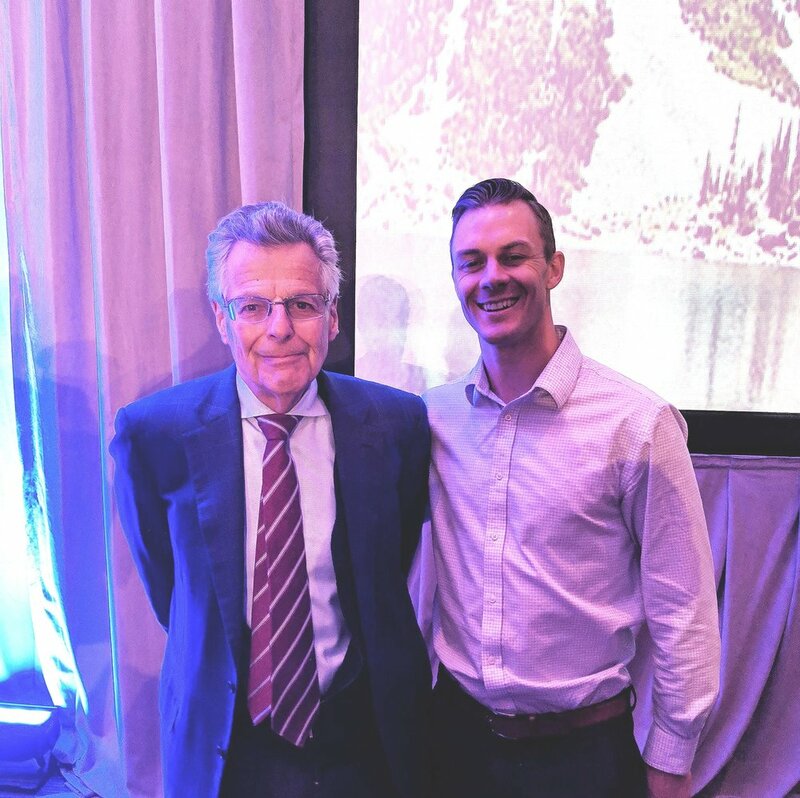 September 2018: Jeff attended a presentation by Joshua Brown, from Ritholtz Wealth Management. The presentation dove into the nuances of cryptocurrencies and blockchain technologies. August 2018: Noble Wealth Partners was formed by merging Columbine Wealth Planning with Noble Wealth Alliance. Exciting news for all clients and future clients. March 2018: Jim Paulsen, Chief Investment Strategist of The Leuthold Group, LLC, provided Grant and the CFA Society of Colorado with his thoughts on the global economic and inflation outlook. Including some thoughts on the implications for financial markets, the U.S. dollar, commodity markets, bond yields, and the stock market. And, how investors may consider tilting their portfolios for the coming year. March 2018: John Carpenter, the founder of the Global Blockchain Summit and Global Data Summit, educated Grant and the CFA Society of Colorado about the intricacies of fintech, smart contracts, supply chains, and the implications of the Blockchain for business in today's modern world. February 2018: Richard Herbert, VP on the Global Macro team of Franklin Templeton spoke to Grant and the CFA Society of Colorado about global economic imbalances and the implications for those invested in the various markets. Including, the possible waterfall effects of the Fed unwinding their balance sheet. January 2018: Amy McGarrity, CFA, the Chief Investment Officer of Colorado PERA spent time with Grant and other members of the CFA Society of Colorado. During the meeting, she discussed potential changes the PERA Board is recommending to the General Assembly to help improve the funded status and financial health of the plan. January 2018: Grant kicked off the first Irish Coffee Club (think tank of five individuals holding their CFA designation, four of the five also hold their CFP® certification) meeting of the year. During the meeting they discussed investment trends, business practices, and exciting developments in the world of wealth management. These meetings occur monthly. January 2018: I attended a workshop geared toward optimizing investment portfolios and discussing the details of how the tax reform may impact clients. The event was hosted by Janus Henderson. October 2017: Noble Wealth Alliance was launched! October 2017: Grant attended AQR's RIA Midwest Investment Symposium in Chicago to gain perspectives on advanced quantitative portfolio strategies for our clients. September 2017: JP Morgan hosted their 2017 Investment Forum in Denver. Grant observed the market insghts from several of JP Morgan's portfolio managers discussed methods of potentially capitalizing on various investment themes. July 2017: Grant attended the LPL Financial Focus conference to stay updated with the evolution of wealth management and useful ideas that contribute to an enhanced client experience. One of the Keynote speakers at the conference, Lori Greiner. January 2017: Jeff founded Columbine Wealth Planning! 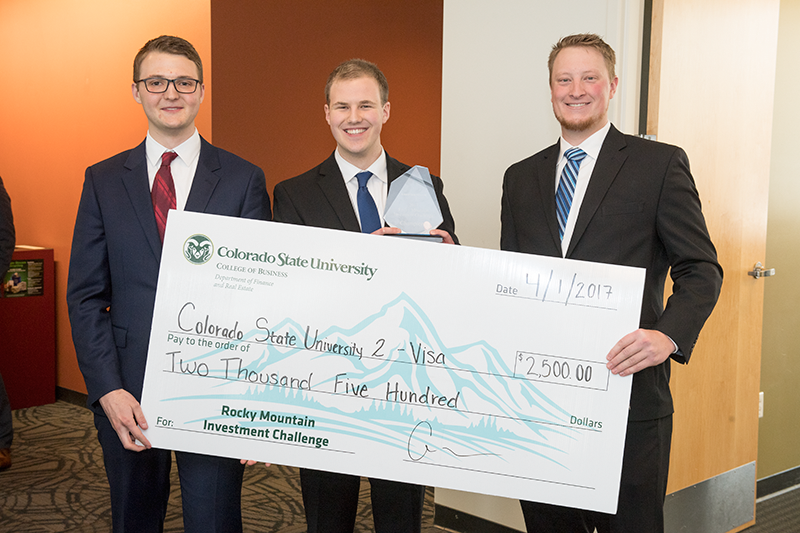 April 2019: Grant judged the Rocky Mountain Investment Challenge for the third consecutive year. This year, the even was held at the University of Wyoming in Laramie. January - February 2019: Jeff and Grant volunteered to teach personal finance to the Senior Achievement Class at Alameda High School in a partnership with Junior Achievement. January 2019: Grant graded three research reports for the CFA Institute Research Challenge held on 2/6/2019. All competing universities (Colorado State University, University of Denver, Colorado School of Mines, University of Boulder, Metropolitan State University, and the University of Northern Colorado) presented their recommendations on Denver-based upstream energy company SM Energy (ticker SM). Judges: Marcelo Alaniz (Investment Analyst at Great West), Dan Starke (Investment Professional), Harry Starn Jr., CFA, CFP® (Director of the Personal Financial Planner Program at University of Colorado), Dr. Leo Chan (Professor at Utah Valley University), JP Tremblay, CFA (Professor at University of Denver), Walt Werner, J.D. (Retired Professor at University of Wyoming), Suresh Gupta (Chief General Manager in the Enquiry & Adjudication Department Securities & Exchange Board of India), Joe Briones (Investment Analyst for the Wyoming Retirement System), Grant Glenn, CFA, CFP® (Owner of Noble Wealth Alliance). This is not a recommendation to buy or sell any security mentioned. Investing involves risk including loss of principal. No strategy assures success or protects against loss. August 2017: In accordance with House Bill 08-1002, Grant joined three other individuals to form the CSU Investment Advisory Committee. The Committee assists Colorado State University with managing their investable operating assets. 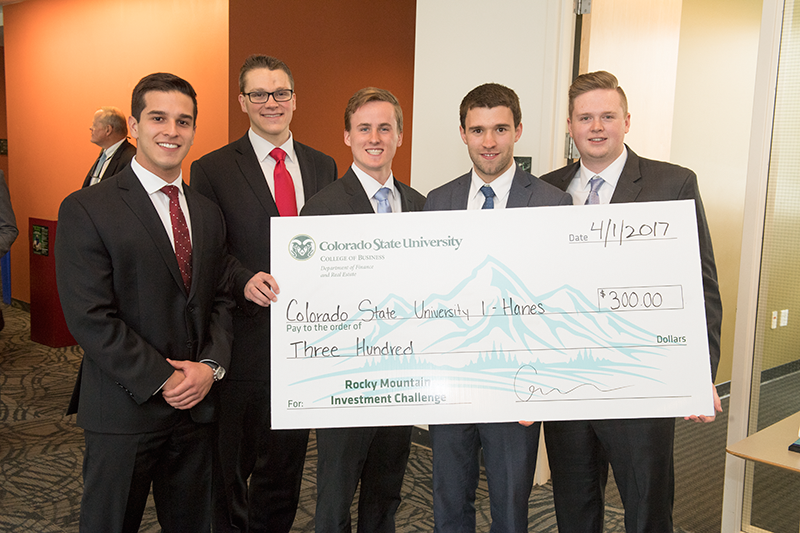 April 2017: Grant judged the Rocky Mountain Investment Championship in Rockwell Hall on the CSU campus. A great event where students from eight colleges in Colorado present which stock they believe will outperform in the near future. CSU took first place, go Rams! October 2018: Jeff completed a course on 401(k)s and Life Insurance to understand new legislation and risk mitigation strategies. August 2017: Grant completed a 10-hour estate planning refresher course to stay current on effective transfer strategies. The world around you is constantly changing, and so should your portfolio. It is paramount that your financial advisor and planner understands the market environment and is apprised of the changes that may require a shift in your portfolio allocation. Our partners strive to understand the meaningful events that are occurring in the markets (stock, bond, commodities, etc.) to capitalize on opportunities and mitigate risk during times of financial turmoil. To stay updated, we read the following materials on a daily and weekly basis. In addition, we read stock analyses, bond reports, various publications, market summaries, and research papers. We invite you to send us anything you find interesting. The real story of the crash began in bizarre feeder markets where the sun doesn't shine and the SEC doesn't dare, or bother, to tread: the bond and real estate derivative markets where geeks invent impenetrable securities to profit from the misery of lower- and middle-class Americans who can't pay their debts. In The Geometry of Wealth,behavioral finance expert Brian Portnoy delivers an inspired answer based on the idea that wealth, truly defined, is funded contentment. It is the ability to underwrite a meaningful life. This stands in stark contrast to angling to become rich, which is usually an unsatisfying treadmill. Forty years ago, Israeli psychologists Daniel Kahneman and Amos Tversky wrote a series of breathtakingly original papers that invented the field of behavioral economics. One of the greatest partnerships in the history of science, Kahneman and Tversky’s extraordinary friendship incited a revolution in Big Data studies, advanced evidence-based medicine, led to a new approach to government regulation, and made much of Michael Lewis’s own work possible.